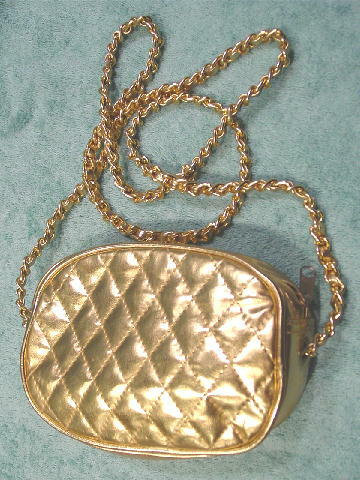 This vintage gold lame faux leather purse is in an oval shape. It has a top zipper with an exterior open 3/4 length compartment. 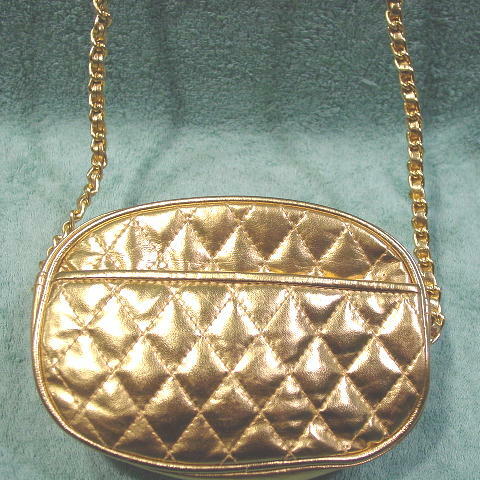 There is a sand color fabric lining and a gold link (52" by 3/8") shoulder strap with a faux leather gold lame strap woven in between the links.